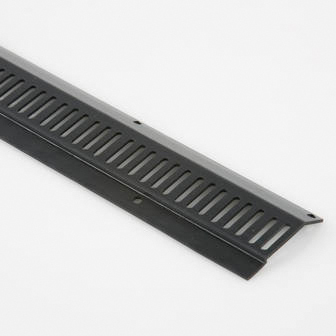 Corovent Angled Soffit Vents are highly versatile soffit vents can be used with vertical or angled fascia boards, and at the top or bottom of the soffit board. Ideal for new or existing buildings, fitting into soffits of any thickness. The base of the comb is marked with positions for nailing either directly onto the fascia board or on top of a Over Fascia Roof Vent if fitted. Position the tray on top of the fascia board and nail in place. Adjacent trays are designed to lap over each other easily forming a continuous run. The fascia tray should sit on top of the over fascia roof vent if fitted and the two may be fixed in place simultaneously. Comb fillers may also be fixed in place at the same time.